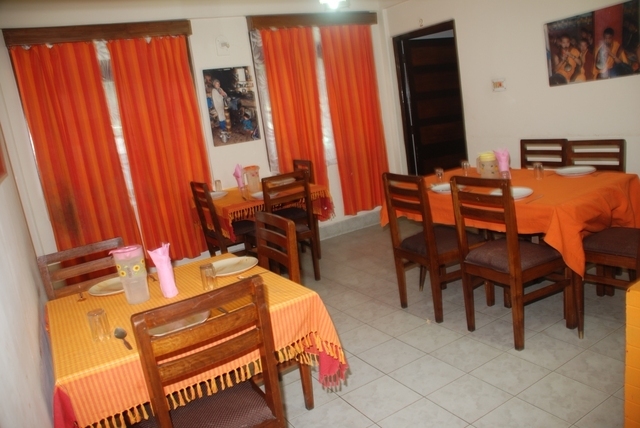 Located in Gangtok, Sukhim Guest House provides a free internet access to their guests. Banjhakri Fall can be reached from this guest-house, which is at a distance of 8 km and SNT Bus Station, which is 1 km. This guest-house in Gangtok has 9 rooms spread over 3 floors. Each room has amenities such as an air-conditioner, bottled drinking water, makeup mirror and a telephone. This guest-house in Gangtok offers a restaurant, garden, 24-hour front desk, medical aid, laundry, security guard and a room service to their guests. Family/Child Friendly, Laundry Facilities, Breakfast Services, Parking, Airport Transportation, Currency Exchange, Room Service, Restaurant, Doctor on Call, Travel Counter. Moisturiser, Air Conditioning Room, Bottled Water in Room, Wakeup Calls, Toothbrush/Razor on Request, Attached Bathroom, House Keeping, Iron/Ironing Board, Cable/Satellite TV, H/C Water. User reviews for "Sukhim Guest House Gangtok"